Exploring the intergenerational fallout of war and diaspora from the perspective of a Polish woman, her daughter, and granddaughter, Silence is a tentative but thoughtful character piece. Author Nicola Werenowska draws on her own extended family’s history, as well as extensive interviews with second generation immigrants of Polish heritage, crafting a meditative play filled with believable details. Short but significant sections of the text are delivered in untranslated Polish, and great care has evidently been taken to ensure these words are given equal weight to the otherwise mostly English dialogue. Irrespective of language, the meaning is always clear, thanks to the depth and clarity of the characterisation. As youngest daughter Anna, Maria Louis captures the restless energy of a generation searching for identity, worlds away from the forced cheerfulness and brittle reserve of her anxious mother Ewa, played by a convincingly high-strung Kate Spiro. Poised between them, Tina Gray is superb as grandmother Maria, all steely dignity on the outside, yearning fragility within, unbowed by the unspoken burdens and unspeakable tragedies she has endured. 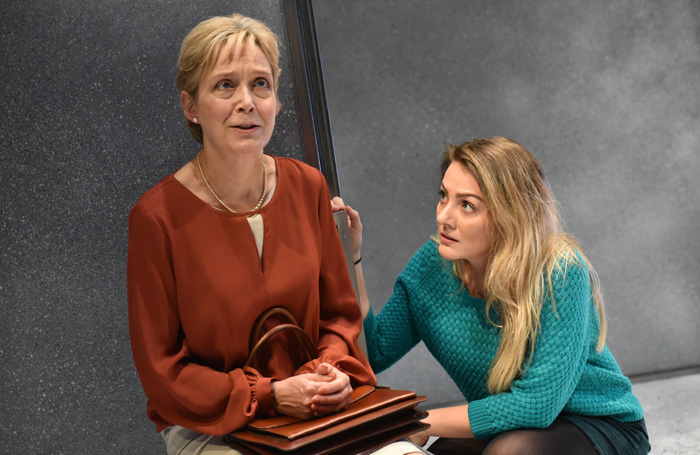 If the gradual sketching out of their lives lacks any real dramatic driving force, director Jo Newman’s staging lends the production an appealing energy with fluidly shifting scenes and crisply interlocking monologues. It all unfolds on Baska Wesolowska’s echoingly empty set, a stark and featureless expanse of concrete-grey slabs which evoke the desolate Siberian tundra or the monolithic blocks of brutalist Soviet architecture which Maria escapes on her arduous journey from Warsaw to Reading.